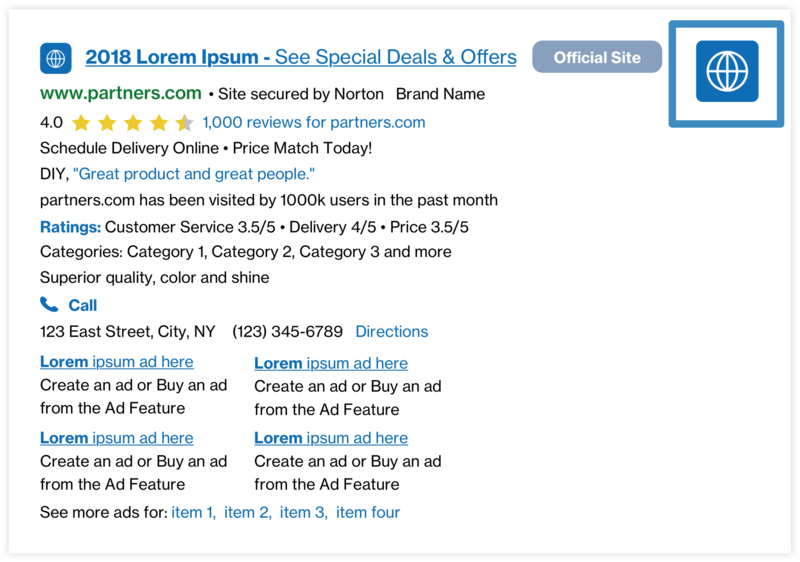 Image in Ads is a branded image (48px by 48px) shown next to the search ad. Clicking this branded image leads to the advertiser's landing page and is available for the first ad only. Results: Some Partners have seen an estimated lift of +1% CTR. Results may vary. HTTPS Support: Image in Ads will reuse API "enableHttpsFavicon" and keep https setting same with Favicon.